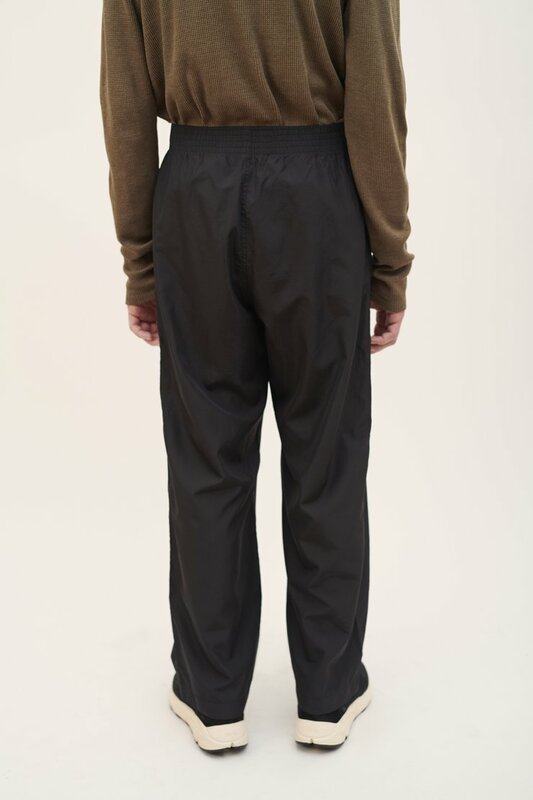 Our Reduced Trouser in Black. 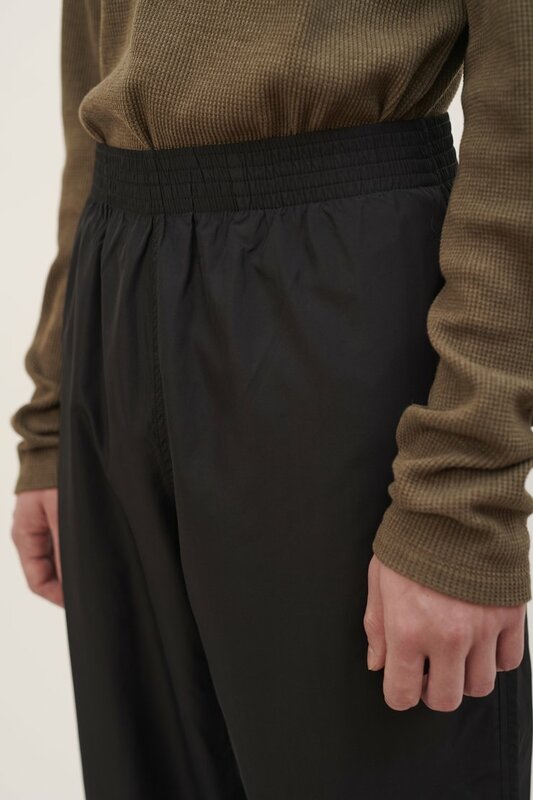 Produced in a light weight Italian tech fabric, the Reduced Trouser has a simplified construction with jet side pockets, an elasticated waist and a relaxed straight cut. 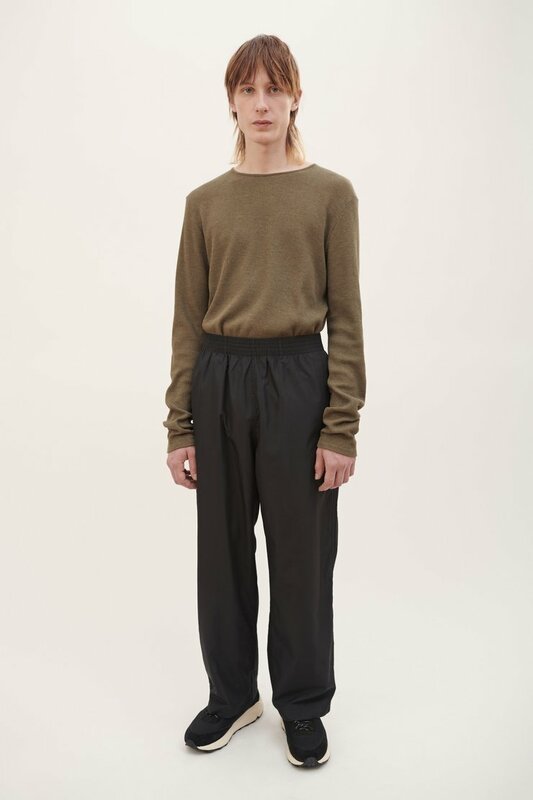 Our Reduced Trousers are true to size with an elasticated waist and a relaxed straight cut leg. The model is 190 cm tall with a 32” waist and is wearing a size M/48.